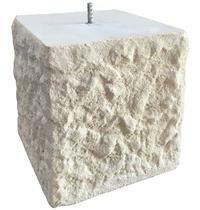 A beautiful and timeless natural material for construction and decoration. 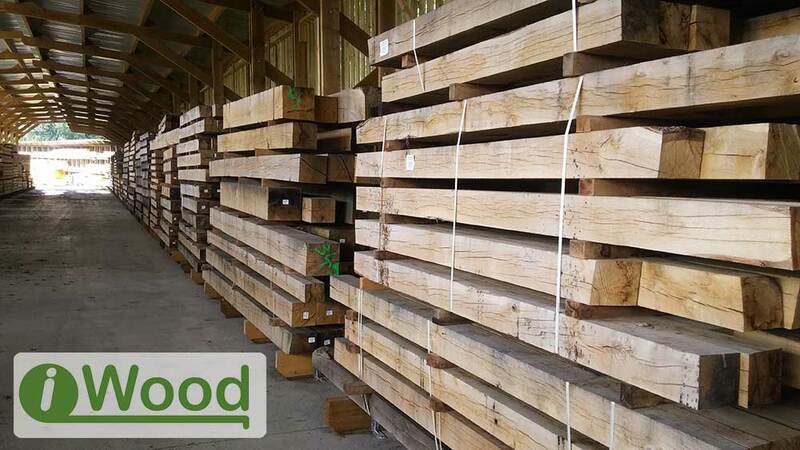 Choose from two grades of Fresh Sawn (green) oak beams, and an Air Dried grade, both suitable for construction. Looking for Kiln Dried Oak? The oak on this page is either Fresh Sawn or Air Dried. 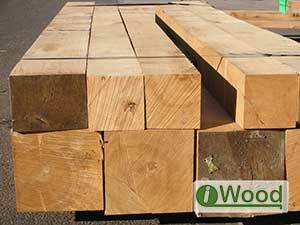 If you are looking for Kiln Dried Oak, which has less moisture and is more stable (but only available up to 100mm x 230mm), please see our Cut to Size Oak section. Because of this, QPA grade beams have the highest strength for use in structural applications. Fresh sawn oak weighs approx. 1,200kg / m3. 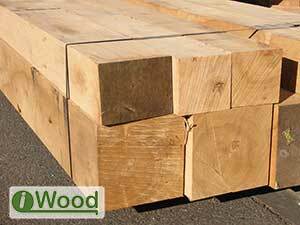 Please note, as per industry standard, our oak beams are provided over-length to be cut down on site. Click here to see the full QPA grading rules. QP1 is the second level of beam grading we offer. QP1 beams are still commonly used for structural work. 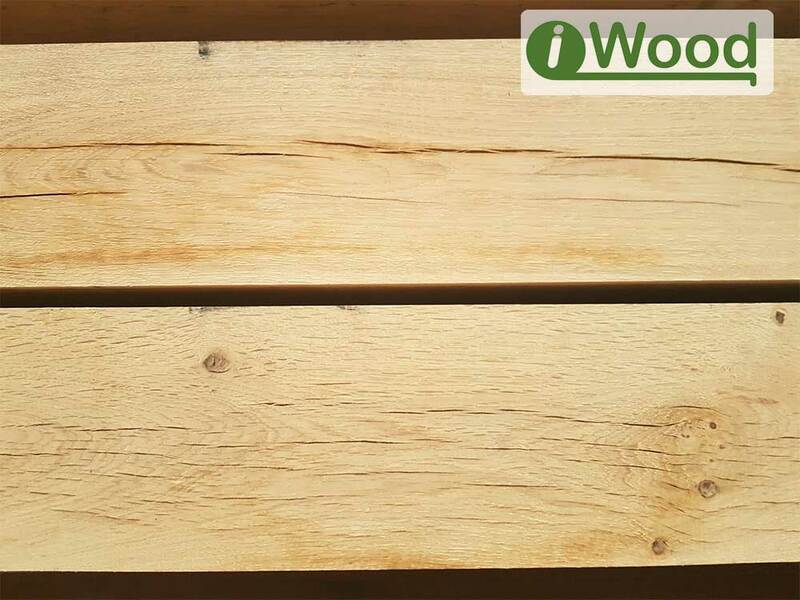 QP1 beams do NOT contain any unsound knots or unsound sapwood, rot, frost crack, ring or star shake. A limited number of pieces may have brown streak or pith. Fresh sawn oak weighs approx. 1,200kg / m3. Click here to see the full QP1 grading rules. Air dried oak has dried naturally for between 1 and 3 years, giving the timber a darker, weathered look, featuring the highly-sought-after traditional surface checking and cracking. Air dried is available in standard sections of 100x100mm, 120x120mm, 150x150mm, 180x180mm, 200x200mm, 250x250mm which feature the lowest price per cubic metre, and we can then cut or plane air dried beams to any dimension for you out of these sections. Please note, sawing or planing will reveal fresh-sawn faces, rather than the air-dried finish. 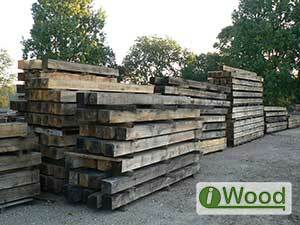 Air dried constructional grade oak weighs approx. 1,100kg / m3. iWood's Fresh Sawn Oak, sometimes called Green Oak, are sawn from oak trees grown in managed forests and produced to your section sizes for use in construction or landscaping projects. Our oak beams and oak sleepers are sourced directly from hand-picked sawmills around Europe and as such, they are of the highest quality. Oak is an extremely versatile material that is resistant to harsh conditions and easily stands up to the test of time. It is a highly dense and durable material that boasts both strength and hardness. 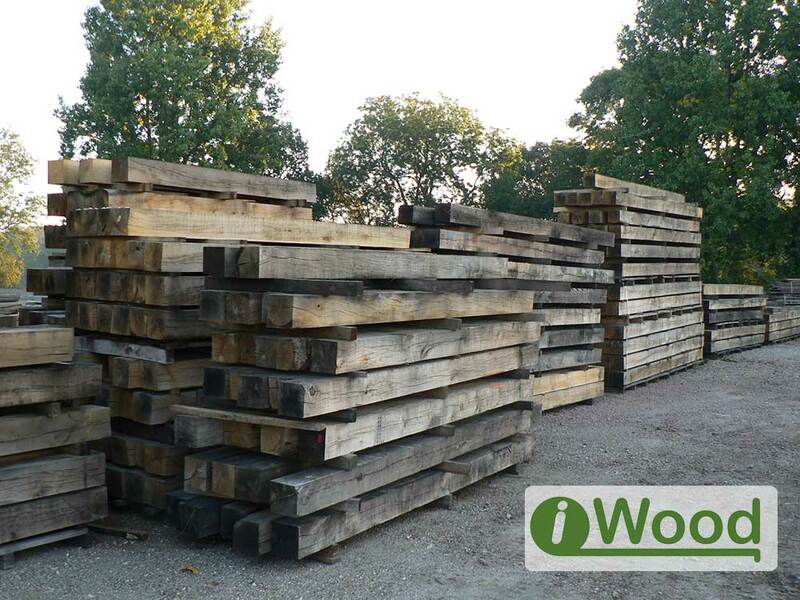 As a timber, it has been used since medieval times for building and construction, so whatever your purpose, this timber is an excellent choice. Oak is also able to withstand attack from insects and fungus and has an attractive grain pattern, which makes it ideal for decoration purposes as well as practical use. What makes our oak so special? Here at iWood we source only the best materials and our beams are no exception. Whether you're using them purely for decoration or they’re part of the structure of your house, rest assured that our beams are up to the task. If you would like to talk to someone about them or have a question then feel free to get in touch. What grades of beam can you supply? 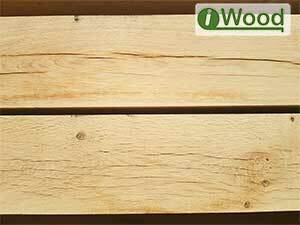 iWood supplies 3 "Fresh Sawn" or "Green Oak" grades and an "Air Dried" grade. Our Fresh Sawn QPA and QP1 grades are the most popular and ordered regularly for construction jobs. 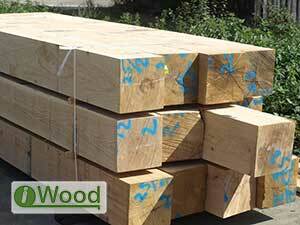 Fresh Sawn Constructional (to QPA) - Our highest grade of oak beam, also known as 'D30 construction grade' (please note, this grade replaces D40, if that's what you're looking for) with fewer knots than the QP1 grade. Suitable for, and used extensively in construction. Fresh Sawn Constructional (to QP1) - Our second highest grade, also known as to 'D24 construction grade'. This grade is also suitable for construction. It contains more knots than our QPA Grade. Click here for more information on the QPA and QP1 grading rules..
Air Dried Constructional Grade - Suitable for construction where reduced movement or an existing aged look is required. Air dried oak has dried naturally for between 2 and 5 years, giving the timber a discoloured, darker, weathered look, featuring the highly-sought-after traditional surface checking. It's common practice to hand plane, sand or shot-blast the faces before use, or choose the option for us to plane them for you. 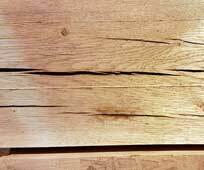 Air dried beams, because they already feature splits and surface checking, are often used in restoration work or like-for-like repairs to more closely match existing, aged oak. Fresh Sawn Fencing / Sleeper Grade - A lower grade of oak, not suitable for construction but Oak sleepers are used extensively for landscaping. What sizes of beams can you supply? Please note, as is industry-standard, our beams are not exactly cross-cut to length and are provided slightly over-length to be cut down on site. 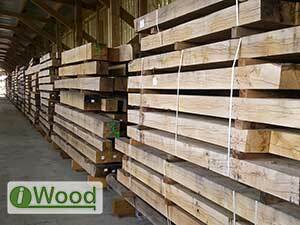 We have a wide range of oak posts available. Fresh Sawn beams are available in QPA & QP1 grade which we can supply in thicknesses of 30mm to 300mm, widths of 50mm to 300mm, and lengths up to 7m. Larger sections and longer lengths are available on both grades but we need to check for availability and may need specific delivery arrangements. Our friendly staff are just a phone call away if you need something specific. 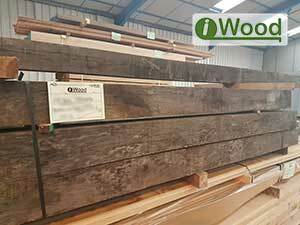 Air dried oak is available on our website up to 350mm section, up to 7m. Larger sections and longer lengths are available but may require additional delivery arrangements. Call our sales team on 01889 597281 to discuss. Air dried is available in standard pre-cut sections of 100x100mm, 120x120mm, 150x150mm, 180x180mm, 200x200mm, 250x250mm and feature the lowest air-dried price per cubic metre. Any different air dried sizes you require will be cut from these sections, revealing fresh sawn faces. One of the most common questions we get asked about oak posts is “Won’t the oak move as it dries? How does this affect the structure of the building?”. The answer is yes, oak can shrink slightly, but it doesn't cause a problem. 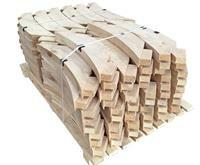 Fresh Sawn Oak posts, and air dried to a lesser extent, can shrink by between 5 and 7 percent across the face as part of the drying process, but almost negligibly in the length. This has the effect of pulling any jointing tighter, actually strengthening the structure. Oak dries very slowly and does not detract from its structural integrity. As the surface of fresh sawn oak dries, it will begin to check, which gives oak its traditional, characteristic look. 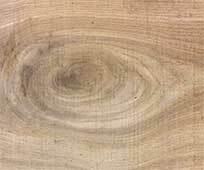 What is the Difference between a Sawn and Planed Finish? As standard, the oak posts have a rough sawn finish sometimes featuring lines from the band saw, which is perfectly acceptable for most applications, or can be sanded or hand-planed before use if preferred. Sawn beams can have a tolerance of approximately 5mm plus or minus so we provide the option for your beams to be planed to a more exact finished size if required. 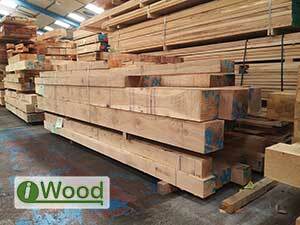 iWood's kit form Oak Trusses are all provided with a planed smooth finish. The main reason for having planed beams is to get more precise sizing. While smooth when you receive it, the surface will eventually check as it ages and dries, so planed and sawn faces end up looking similar with time. Joiners tend to prefer to work with planed beams as they can work knowing the corners are square. Most iWood deliveries are carried out on a flat-bed truck without a HIAB (crane arm) for offloading, however, we can arrange a HIAB lorry for an additional cost. If you are using screws or nails with the oak, it is important that stainless steel is used, as the natural tannins (acids) in the oak will quickly corrode iron. As you can see on some of the photographs, beams can sometimes have black or dark blue marks on them that are picked up during production when they come into contact with ferrous metals. These will fade with time, can be sanded off after the surface of the beam has dried, or can be removed immediately with Oxalic Acid. 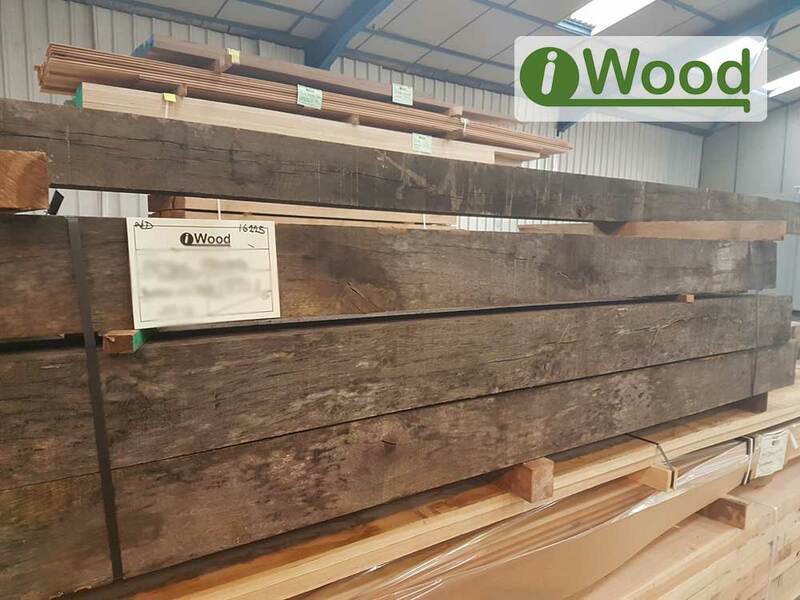 You can reach us with any questions, or place an order on 01889 279018.
iWood offers a range of supporting accessories for oak beams. 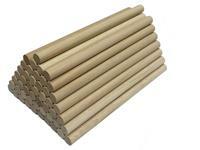 Click here for Oak Wind Braces, Oak Dowels and Staddle Stones. 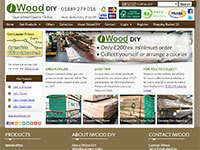 Fill in the online quote request form on our Teak wood page and we will get back to you with a quote. We get the very best timber directly from sawmills, because of this deliveries usually take place around 14 to 17 working days after you place your order.